This week, time is flying because days are somehow booked out and between morning and evening lies one meeting after the other. I sometimes wonder how much one can take on different faces, different approaches, different worries, different joys until one mixes all up and is oneself mixed up – somehow..
And a big birthday celebration is in waiting: Brother Joachim – Joachim Franz – is turning 50 years in November and I am looking forward to a great evening full of laughter and joy. And at the same time some serious discussion for the World AIDS Awareness Campaign 2011 – beginning in April next year. A real challenge, watch the space. This block will report on every detail of this indeed challenging campaign. This week saw also discussions about the future of CAN, the Catholic AIDS Network of the Archdiocese of Cape Town as well as the future of POZ, the initiative of pastoral care for priests and religious living with the virus… Nothing is easy, nothing is set in stone, all developing and obviously at the end should stand nothing more than a meaningful service for fellow men. We discuss a questionnaire we want to send out to all the parishes to get more information about what is done in the fields of HIV and AIDS in the catholic churches of the Archdiocese of Cape Town. 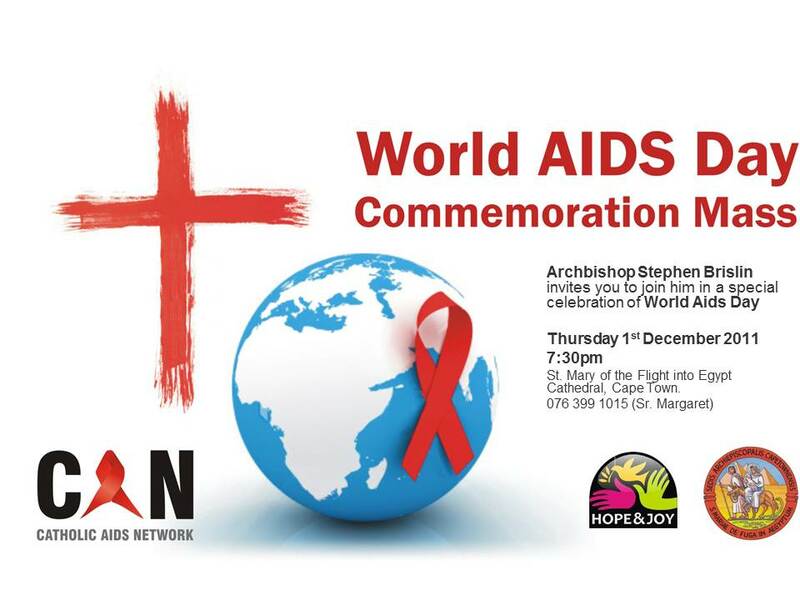 The Catholic Aids Network (CAN) is the official body of the Archdiocese of Cape Town dealing with the issue of HIV and AIDS and is so to speak a collection of all entities working within this fields. We try to create a room for exchange of ideas and stimulation for the pastoral work. In the evening I am giving a talk at the Cape Town Club about HOPE Cape Town and it ends after a very interesting chat with some attendees over dinner with me signing up for the club. Well, I have to wait now for 30 days before I am formally introduced into the club if there is nobody voicing any concerns regarding my membership. I meet some very interesting people and the networking already has started. Invite for dinner – and it turns out to be a very interesting and chatty evening – coming home after midnight does not happen that often. It is nice to sit and chat around a table not feeling the time going by… it’s always also a compliment for the hosts to have been able to bring interesting people around their table. Slowly but surely people getting into holiday mood, and also we from HOPE Cape Town starting slowly to wind down the operations, from mid next week, most employees will take leave and quite some will also travel to see their extended families where ever they live. Slowly but surely another year comes to an end – Christmas is almost in reach. It will be the first time to be without my “Heilig Abend” service on Christmas eve, one of the most important and most emotional services I had to celebrate while being the chaplain to the German-speaking Catholic Community. I will miss it – and lots of people have asked whether I would not be able to come back for this one time. My answer is always the same: No, it is not possible. If you are gone, you are gone. Sounds easy, isn’t so easy, but it is the right thing to do. I hope that the service held by a fellow colleague will be touching the lives of the many coming to this very special occasion.